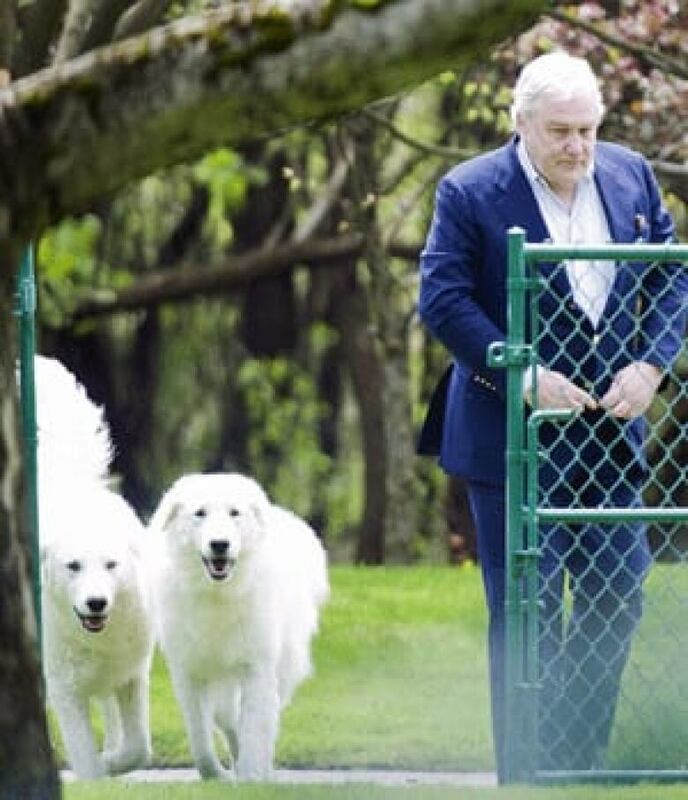 Former media magnate Conrad Black returns to his upscale Toronto estate a free man, embracing his wife in full view of journalists and playing with his dogs, after being released from a Florida prison. 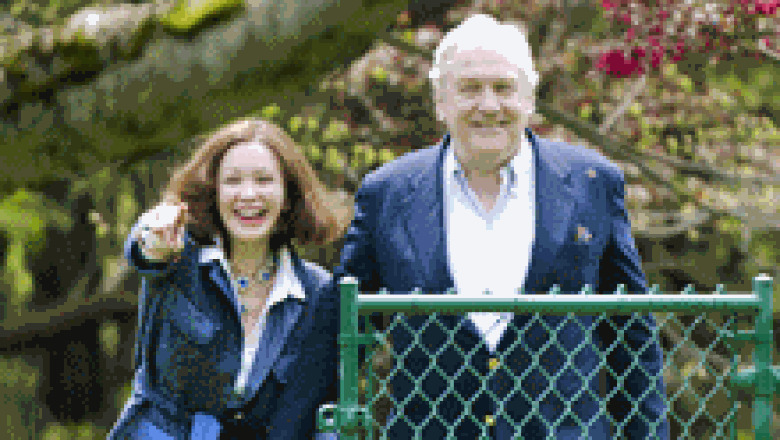 Former media magnate Conrad Black returned to his upscale Toronto estate a free man on Friday, embracing his wife in full view of journalists and roaming his sprawling property with his dogs, following his release from a Florida prison. Black, 67, was taken into custody by U.S. immigration officials earlier Friday after he was released from a Florida penitentiary, where he was serving a 42-month sentence for fraud and obstruction of justice. He was released from the Federal Correctional Institution in Miami shortly after 8 a.m. and left in a vehicle that was part of a police motorcade, CBC's David Common reported. The disgraced former media baron was seen Friday by CBC journalists and other media outlets greeting his wife, Barbara Amiel, and walking through the front door of his sprawling mansion in Toronto's tony Bridle Path neighbourhood just before 2 p.m. ET. CBC's Aaron Saltzman, who was camped out with other media outlets at a "a service entrance" to the Black residence, said the former magnate managed to give the press the slip, surprising journalists when he suddenly appeared in a "non-descript" car to open up the electronic gate to his upscale home. Saltzamn said media had been waiting at Toronto's Pearson International Airport and keeping watch over an area where private jets usually land. "His wife and two of his dogs came running out to greet him. He petted the dogs, he kissed Barbara, and he walked into the house," Saltzman reported. Black emerged minutes later to tour the grounds of his property. "He was fully aware of the cameras. He had to pull through the media to get to the gate," Saltzman added, though Black has not yet acknowledged the press. His wife did chat briefly with reporters gathered outside one of the entrances to the mansion, smiling as she collected her dogs. The pets, reportedly acquired after Black's incarceration, were sniffing around members of the media through the gate. "I think it's difficult to celebrate nine lost years, but I'm very happy," she said. "Thank you very much — and be nice to our dogs." A neighbour who spoke with reporters said he was happy to hear of Black's return to the posh community. "He has paid his price, nevertheless," said Navin Chandaria. "I think he should be left in peace. He should be allowed back. He's a Canadian." Earl Cherniak, Black's Toronto-based lawyer, said Black likely just wants to rest for the time being. "The man's been in prison for I don't know how long. He wants to decompress," he said. "I mean he's been in a cell with two other people and one toilet. Would you want to be out partying tonight? I don't think so." Although Black renounced his Canadian citizenship in 2001 to accept a peerage in the British House of Lords, he applied for and was granted a temporary resident permit from Canada, which would allow him to live in the country from May 2012 to May 2013. His wife, Barbara Amiel, lives in Toronto. As a British citizen, he could also be sent to the U.K.
Black was sentenced to 78 months in prison in 2007 for an alleged multimillion-dollar fraud scheme involving his company Hollinger Inc., a Canadian-based media firm which owned newspapers in the United States. After serving 29 months of his original sentence, Black was released from Florida's Coleman Federal Correctional Complex after the U.S. Supreme Court overruled his conviction citing a misuse of the "honest services" provision in the fraud statute. Last June, Black was convicted on fraud and obstruction of justice charges. The court agreed to apply his prior time served to his new sentence. He was admitted to the low-security Federal Correctional Institution in September to serve the rest of his term. George Tombs, author of two Black biographies, told CBC News the former media mogul would likely want to get back into business once he is out of the U.S., although he faces at least one significant hurdle. "He's facing a [U.S. Internal Revenue Service] tax bill of $70 million US," Tombs said. "I mean that’s a big whack of cash." The Montreal-born Black, whose empire was once worth hundreds of millions of dollars and included newspapers in Canada, the U.S. and Europe, told an interviewer last year that his first jail term — during which he cleaned latrines and tutored fellow inmates — had made him "humbler." Not surprisingly, two days of fierce debate erupted on the floor of the House of Commons when news emerged that Black had been granted a temporary resident permit, giving him reprieve from the strict conditions that typically keep the majority of convicted felons off Canadian soil. "Thousands of people are following the rules and waiting their turn to be admitted to Canada," complained NDP Leader Tom Mulcair, accusing the governing Conservatives of having a double standard. Friends of the Tories — even those who are no longer Canadian citizens — get special consideration, he railed, while those without the benefit of such political sympathies are left out in the cold. "No one else has ever been in that situation, of being still in jail, having his dossier marched around all the offices of the minister and getting his approval before even getting out of the slammer," Mulcair said. Citizenship and Immigration Minister Jason Kenney insisted there was no political interference and that the decision to approve Black's application for a temporary resident permit was made entirely by "highly trained, independent members of our public service." Among the groups that criticized the decision from Citizenship and Immigration Canada was the War Resisters Support Campaign, which released a statement Friday denouncing a "double standard" when it comes to the government's treatment of U.S. Iraq War resisters who have sought asylum in Canada. Michelle Robidoux, spokesperson for the campaign, questioned how Kenney "claims that there was no political intervention in the decision to give Conrad Black a Temporary Resident Permit … [but] has persistently intervened in the cases of U.S. soldiers and directed immigration officers to red-flag them as potential criminals." Rex Murphy: Should Conrad Black come back?